Wanted! 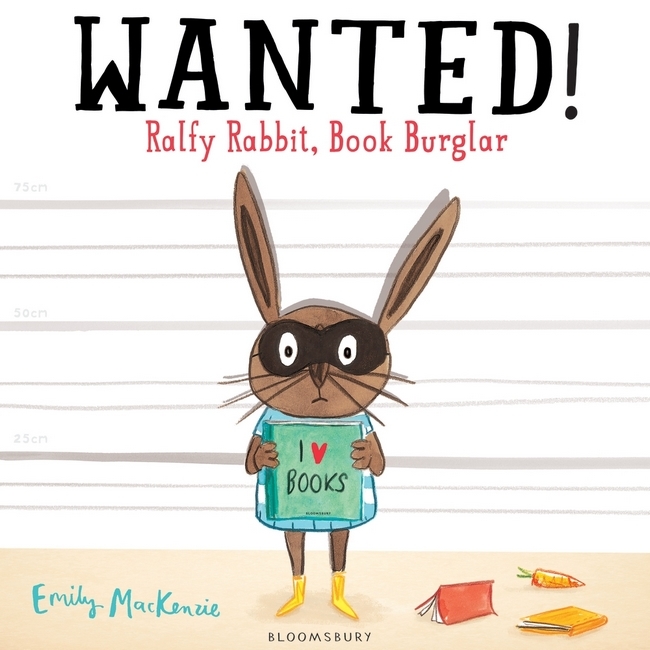 Ralfy Rabbit, Book Burglar is a wonderful début from Emily MacKenzie with a great feel good message about the wonders of reading and libraries. A great addition to any children’s home library! WANTED! Have you seen Ralfy Rabbit? 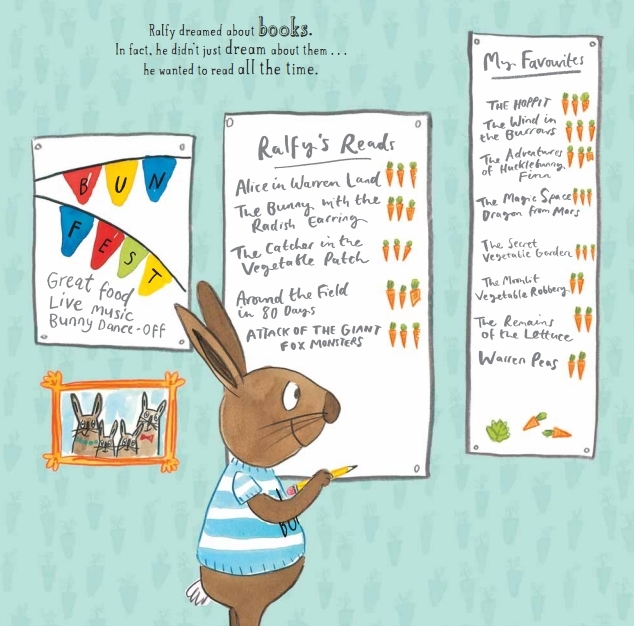 To celebrate the publication of the gorgeous Wanted: Ralfy Rabbit, Book Burglar which publishes this Thursday, Bloomsbury is running a digital hunt for #RalfyRabbit. Every day from Monday 12th January until Friday 16th January a blogger will be hiding a different Ralfy image somewhere on their blog. All you have to do is find the image and tweet to be in with a chance win an exclusive Ralfy prize. Today it is with great pleasure that I open the hunt! So, where might Ralfy Rabbit be? 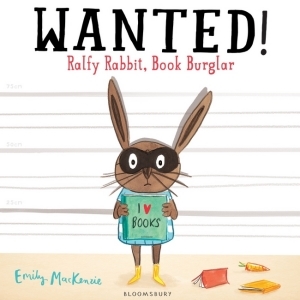 * Regular readers will know my interest in picture books depicting books, reading and libraries, which is why I love Ralfy Rabbit, Book Burglar. Ralfy is hidden in a review for a book which offers another ode to libraries. * The book also features animals, and its protagonist is the big, brown, and furry sort. The prize is an ‘I love books’ kit that includes: Wanted! Ralfy Rabbit, Book Burglar book, mug, t-shirt, sticker sheet and signed print! You can only enter once per day, and your entry only counts if you have the right image for the right day. Please submit your entry by 5pm on each day. On January 19th, Bloomsbury will announce the five winners via Twitter! There’s one winner for each day. The hunt is open internationally. Still have questions? Tweet @KidsBloomsbury. I just found your site and LOVE it! Thanks for all of the book-inspiration! The book you reviewed sounds adorable- can’t wait to check it out!